← Announcing the Winner of the 2013 Green Thumb Challenge Grant! Being green is more than a state of mind. You are obviously already ecologically minded or you wouldn’t be here, right? As you make strides toward greener living, think about actionable items you can do now to live in more environmentally friendly surroundings. The long-term benefits of going green are far-reaching — cleaner water, unpolluted air, energy-efficient vehicles and so on. In the immediate term, though, taking steps toward a greener household means a significant cost savings for you and your family. So let’s get cracking — and caulking! Grab your reusable shopping bag and head to your local home improvement store for simple household gadgets that can shave hundreds off your electricity bills. The Natural Resources Defense Council (NRDC) recommends starting with the following items. 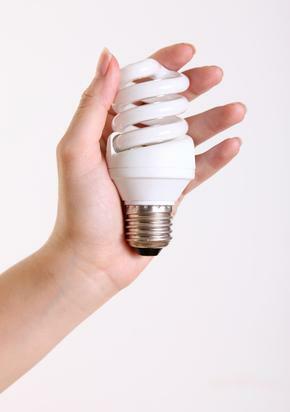 • Compact fluorescent lights (CFLs): Swap standard light bulbs for energy efficient CFLs. Look for the Energy Star label to ensure you’re purchasing lights tested for quality and longevity. • Water heater blankets: While most water heaters come with a minimal level of insulation, water heater blankets are inexpensive and, according to the Mother Nature Network, can knock up to 9 percent off your winter heating bill. 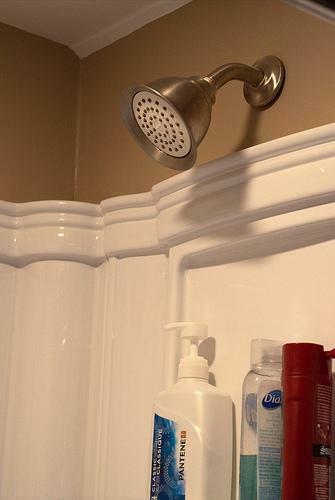 • Low-flow shower heads and faucet fixtures: Keep the energy used to heat water from going down the drain by replacing old models with new low-flow shower heads and fixtures. The U.S. Department of Energy estimates a a cost savings in water alone of up to 60%. Strategic enhancements to your home like these can save you money in the short-term while increasing your property value in the long-term. • Fill the gaps: Gaps around windows and doors are literally leaking money. The NRDC estimates that leaks in a typical American house are equivalent to a 3-foot-by-3-foot hole in the wall. Install weather strips to seal cracks and holes, attach weather-sealing door sweeps to the bottoms of doors, caulk around windows and seal loose window panes with window putty. • Cover window strategically: Cut down on your air conditioning costs by installing light-blocking window shades. Opt for Eco-friendly bamboo blinds that are custom cut to fit your windows. You might also consider tinted window film on a particularly sunny sides of your home. • Plant energy-saving trees: Plant a tree and save cash in the long run. Strategically planted shade trees can save you upwards of 20% on your energy bills, according to the Arbor Day Foundation. Remember to take into account water and care requirements before you start digging. 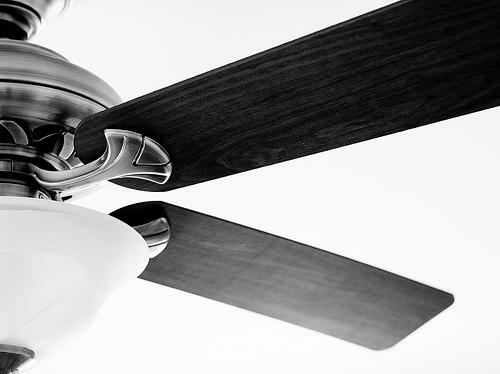 • Install ceiling fans: For the same electricity use as a 100-watt light bulb, ceiling fans are a low-cost way to keep your home more comfortable in the summer. The cool air circulated by a ceiling fan allows you to turn the thermostat down by a few degrees, cutting dollars from your monthly electricity bill. 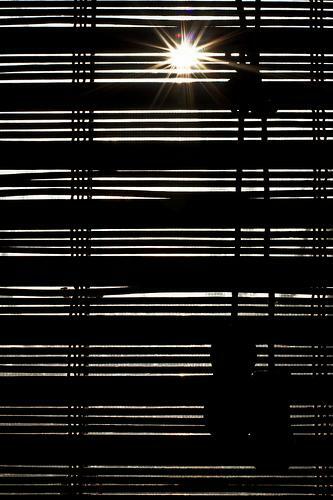 • Change filters: It’s a dirty job, but well worth the effort. The U.S. Environmental Protection Agency recommends changing the air filters in your heating and cooling system monthly. Dirt and neglect can lead to inefficient operation and ultimately, equipment failure. • Schedule check-ups: Have your local heating and air conditioning contractor conduct annual system tune-ups. Energy Star recommends scheduling your cooling system in the spring and your heating systems in the fall. Mission Green Education Foundation (GEF), a non-profit organization, is committed to creating a sustainable future through education. Sustainability Education provides educators with the real-world applied learning models that connect science, technology, and math education with the broader human concerns of environmental, economic, and social systems. GEF provides curriculum and resources to K-12 students and teachers worldwide with the goal of challenging youth to think holistically and critically about global environmental concerns and solutions. Visit www.greeneducationfoundation.org to register for free and to gain full access to GEF’s comprehensive library of standards-based lessons and activities. This entry was posted in Sustainability. Bookmark the permalink. We always use the led light, led lights save the electricity, and l like to shave energy. Reblogged this on NeighborWorks® Rochester. Yeah, Think green! Great energy savings solutions. We always opt smarter lighting choices with energy efficient LEDs, CFLs and Eco friendly Window Coverings. Window coverings are not only for decoration purpose, but also provides energy saving solutions.